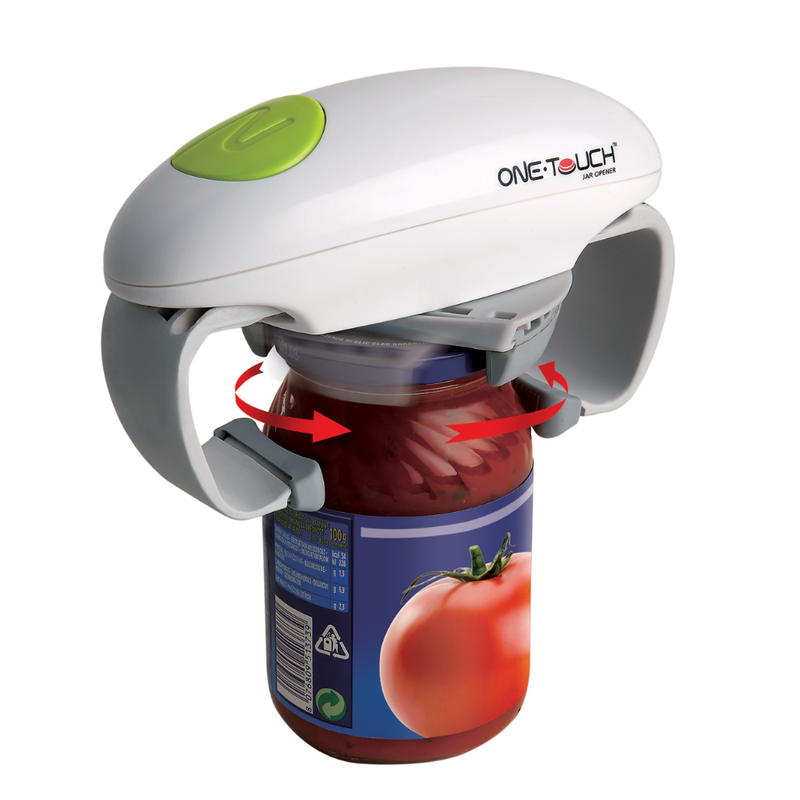 The One Touch Automatic Jar Opener will open stubborn lids at the touch of a button. No twisting, no pulling, no pain, the Jar Opener is ideal for people with weak or infirm hands – simply fit over the lid and let the One Touch do the hard work. Suitable even for new, factory sealed jars.